Is it snowing in Champoussin ?Thank you! The snow forecast for Champoussin is: Light rain (total 7.0mm), mostly falling on Mon night. Very mild (max 17°C on Mon afternoon, min 5°C on Sun night). Wind will be generally light. Champoussin Weather (Next 3 days): The snow forecast for Champoussin is: Light rain (total 7.0mm), mostly falling on Mon night. Very mild (max 17°C on Mon afternoon, min 5°C on Sun night). Wind will be generally light. Champoussin Weather (Days 4-6): Heavy rain (total 30.0mm), mainly falling Thu night. Becoming colder with a light covering of snow, mostly falling on Fri morning. Freeze-thaw conditions (max 16°C on Thu afternoon, min -1°C on Fri night). Wind will be generally light. Heavy rain (total 30.0mm), mainly falling Thu night. Becoming colder with a light covering of snow, mostly falling on Fri morning. Freeze-thaw conditions (max 16°C on Thu afternoon, min -1°C on Fri night). Wind will be generally light. Light rain (total 7.0mm), mostly falling on Mon night. Very mild (max 17°C on Mon afternoon, min 5°C on Sun night). Wind will be generally light. The above table gives the weather forecast for Champoussin at the specific elevation of 1310 m. Our sophisticated weather models allow us to provide snow forecasts for the top, middle and bottom ski stations of Champoussin. To access the weather forecasts for the other elevations, use the tab navigation above the table. For a wider view of the weather, check out the Weather Map of Switzerland. Champoussin was originally built around a Nederlands Ski-Club shed (now derelict), there are still more Dutch visitors than other nationalities, but increasing numbers of English as well in the last five years (we have an apartment there!). Skiing is best for intermediate skiers, with easy half-day access to a good variety of blue and red runs and a couple of black, between Les Crosets and Morgins. There are also short and highly visible off-piste areas. 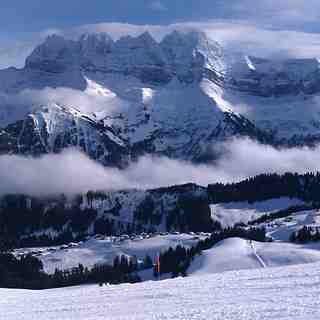 Go out for the day, and you have the full Portes de Soleil in reach. Nowhere in Champoussin is more than 100m from the piste. There are also snow-shoe trails, and a 3km sledge run (return by bus). The village has half a dozen bars and restaurants, but is mainly a family resort. There are a couple of ski shops, and a single general supplies shop. The road to Champoussin is narrow and winding, but locals (including the bus) drive it as if on a motorway. The nearest towns (Champery and Monthey) are 30 min by car – but snow chains may be needed (20% probability?) if you have no snow tyres. Geneva airport is 1h40m by car in good conditions, but can be reached by public transport in 3 hours (bus to Val d’Illiez, funicular to Aigle and main-line train to Geneva airport). The Champoussin skiing weather widget below is available to embed on external websites free of charge. 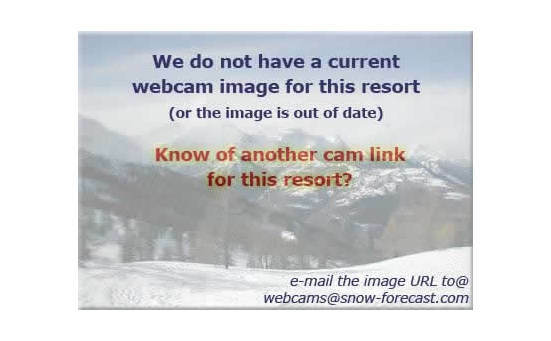 It provides a daily summary of our Champoussin snow forecast and current weather conditions. Simply go to the feed configuration page and follow the 3 simple steps to grab the custom html code snippet and paste it into your own site. You can choose the snow forecast elevation (summit, mid-mountain or bottom lift) and metric/imperial units for the snow forecast feed to suit your own website…. Click here to get the code.